In this episode, Peter and Jonathan discuss Kaizen, Kanban, and Scrum methodology and how they can be applied to small businesses. They also chat about recent changes at Zappos, and the CFO of Palo Alto Software Trevor Betenson talks about human resources and conflict resolution. Forbes: Is Holacracy Succeeding at Zappos? The LivePlan Blog: Are You Ready for Holacracy? Peter: Hey, good afternoon Jonathan. Jonathan: Good afternoon. How are you doing, Peter? Peter: I’m feeling agile, I’m feeling lean, nice and spry. Jonathan: I don’t know about the agility thing, but you’re looking lean. Peter: …to our topic today, “How to apply agile methodology to your business?” There’s a lot of learnings that anyone can take from some of these more popular agile techniques. We’ll talk a little bit about what’s happening in the world with some of these wilder agile techniques, as well as a little bit about what you can do with your employees and how small businesses can think about HR in a very practical way. Jonathan: Yeah, let’s be realistic, you’re going to have some problems in your business, whether it’s with how you’re manufacturing your product, how your employees are dealing with each other and with you. Peter: Yeah, or even more tech-oriented business might have issues with publishing, deadlines, or getting work done in an efficient way. Jonathan: If you’re on Bplans.com today, you’re going to find an article that’s called, “How to solve problems in your business.” It’s talking about three different methodologies that have proven track records in the business world. Peter, can you tell us what those methods are? Peter: These three approaches are just some of the ways out there that have become popular over time. I just wanted to make sure that our audience knew what the three were, knew the basics and then what stands behind them, and also how they might apply some of them. Jonathan: If you think that you handle problems just fine and your business is not in any real danger right now, that’s fine. This episode might not be for you, but there may be some listeners out there who think, “Listen, I’ve got a lot coming my way and I just don’t know how to handle it or the way I’ve been handling things doesn’t seem to be making any difference.” This is absolutely the episode for you. Peter: I actually would say that any business can benefit from knowing that these ideas are out there, that they have some potential benefit to them. It’s easier to not go the route and know a little bit about it, and choose not to, I think than to suffer the potential failings of not learning from the shared learning that we’re all participating in. Why don’t we just dive in? 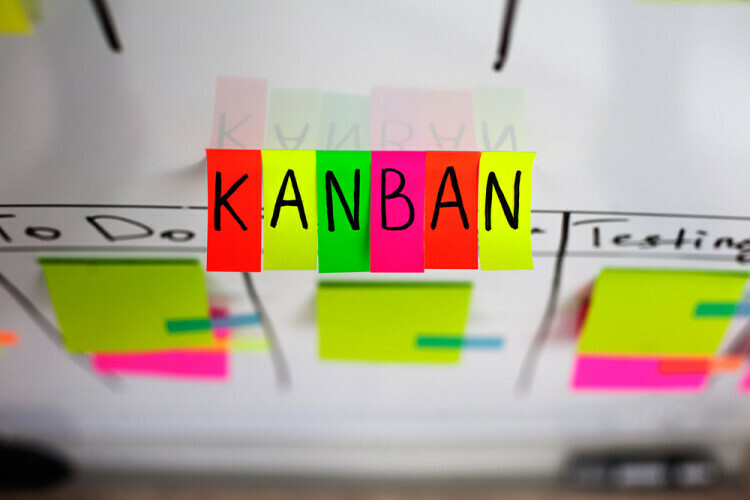 Can we start with Kanban? The short of this is you can never hear about Kanban without two major points. Number one, it originates from this notion of the grocery store. The grocery store delivers goods just in time. This concept of “just in time” is core to the features of Kanban. Then the second major thing you always hear about with Kanban is that Toyota observes these grocery stores and backfield and evolved that into their manufacturing process to great efficiency and actually a decreases in error prone products down the line. Jonathan: Okay. That sounds great, but how does that really apply to a small business who’s not manufacturing cars at a mass volume? Peter: Sure. A lot of the software folks took a little bit of this philosophy into their hearts. On the Toyota side, what we learned is that this idea of the just in time mentality, the idea that the number of apples that are on the shelf can only stay there for a certain number of time before they go rotten. The idea of putting the right number of apples on the shelves actually depends on how many people will eventually purchase it. That’s what we call on contemporary times is, “pull,” the market pull. Jonathan: Yeah, demand based pulling instead of pushing the product down the line errors and all, right? Peter: Exactly. This applies again, if you’re in the software area, a lot of the folks who have applied it there have started to think of their own development cycle as of maybe a linear process. For example, if the graphics guys can’t work on something until the previous group is done with it, and that can be thought of as a linear process. What you don’t want are these individual groups producing the maximum amount of work that they possibly can and in time limit the amount of work that anyone is doing, the amount of product that anyone is producing by the amount of capability that the next step down the line can accommodate. Jonathan: How does a small business actually implement this if they want to do the Kanban style? Peter: On the very technical side in Toyota, the Kanban itself is technically these little cards and the cards themselves are passed from later stage in the manufacturing to earlier stage in the manufacture. If I need a door to put into my frame, I would hand the card back, and that indicates that I have the capacity to accept one door production. That door is then produced and handed down the line and my car can be assembled, thus if the door itself was fall to you simply wouldn’t hand it down a line. The metaphor there of course is if you’re simply making bread, you don’t make 10 times as much dough as your oven can possibly accommodate. Jonathan: Do you need tools though to implement this Kanban process? Peter: Yeah, it’s a good question. I think at a medium sized company, it certainly would help and there’s software versions of this that work pretty well. I would say at a very small business, a lot of this is fairly intuitive. I would challenge our listeners to do some reading on the Kanban process and if you are a sole proprietor, if you’ve got three employees, let us know what you think. Is it the thing that you already are doing in your mind? I think one of the major components here that we should make everyone aware of is all three of these ideas are great reads. Again, I would recommend that everyone understands that definition and concepts behind them all, but in true contemporary application, they’re almost always greatly modified. Jonathan: Yeah, and it’s okay to modify it to your specific business so that you see the maximum results. That’s absolutely what should happen. Peter: What if I wanted 1 percent more approval? Jonathan: I’m going to give you a mindset and a philosophy that’s what Kaizen is. There was this factory in Fremont, California that was actually a joint venture between GM and Toyota. Both companies had some problems that they needed to solve and they’d figure that the best way to solve these was to work together if you’re trying to solve them. Originally, this factory was a GM factory and actually had become quite known for just running rampant. There was a union in place and workers were allowed to drink, all kinds of [inaudible 00:07:52] behavior. Toyota came in and implemented their production process. One of the main takeaways from that was that Toyota uses this concept of Kaizen, continuous improvement from anywhere on the line. Any individual can notice something, innovate, and bring that to the attention of everyone else. Peter: You can improve your drug use on the job. Is that what you’re saying? Jonathan: False. GM had this philosophy of, “Never stop the assembly line for any reason no matter what,” because if you do, you’re going to get fired because you’re stopping production. Because of the situation at this factory, Toyota on the other hand had this philosophy of anyone can stop the line. If you see something wrong with the process, pull the chain, stop the line, and fix it. Continuous improvement across the board, and that’s going to, in the end, produce a much higher quality product. Peter: That sounds compatible with the previous idea. Peter: In most companies, I think I really do believe innovation can happen at any given level. If your customer service team is unbelievably great and innovative, a thing as simple as customer service might become your defining characteristic. Is it good to develop a spirit of Kaizen in your company? Jonathan: Yeah, I absolutely think the way to apply this is in the culture of your work. It’s not the job of the CEO or of your middle managers to be the only ones innovating. If you notice a problem that could be improved X percent, even if it’s 1 percent, bring it to the attention of everyone else. Peter: It’s an open mindedness if you’re a top down type organization. Jonathan: The way you can implement this with your business today is have a conversation with your employees. Essentially, no ideas too stupid. Please bring your ideas to this job and we’d love to hear it. It’s not always going to be implemented, but we’re going to listen to it and we’re going to consider it. Peter: Really, the Kaizen philosophy is something that we can apply. I think we should probably apply some reading materials and takeaway reading materials to people on a follow up on that. Jonathan: Yeah, I’d suggest the article getting better at giving better by Alan Henry at Lifehacker.com. I’d also suggest in article that we published on the life plan blog, which is our software blog about our customer called, “Jed’s Plant Pickets.” He talks about using that philosophy. You find efficiencies in his manufacturing process that leads to him being able to lower his costs without getting rid of the quality of his product. Peter: The third word we’ve got in our funny words list, we’ve talked about Kanban, we’ve talked about Kanzen and now we got Scrum. Scrum is more of a process, an application of process. What’s the deal with it? Jonathan: This is another area where I’m not an expert. Peter: You do it, Jonathan. You do Scrum every week. Jonathan: Here’s what I am when it comes to Scrum, I end up being what they call a product owner. I get to say, “Here is a project that I want to see happen, I need it to be done sometime in the future or sometimes I need it done next week,” and I pass that onto a Scrum master. Peter: Before we get too culty with our language, because I think [crosstalk 00:10:58], so while Kanban was predicated originally on pulling the nature of manufacturing forward, Scrum assumes intrinsically that there is some need to move the process forward and it maintains a very similar type of focus only on a very small number of things for the period of time that you’re working. In those senses, they’re similar in almost every other way they’re different. Scrum is a process by which teams can get very large projects done by breaking them down into very small tasks, and only focusing on those small tasks for the small periods of time called the, “sprint” that they are focused on those task for. The Scrum is the meeting where they all huddle together. Jonathan: This actually works well when you have a number of larger projects that need to be done, because then what it allows you to do like you said you breakdown those large projects into smaller tasks, then you’re able to work on those multiple projects because you’re taking on each individual task and getting those done in a certain sprint. Peter: Then at the end you measure a thing called, “The velocity of the overall performance of the team.” With the Scrum methodology, which is really probably the most popular contemporary implementation of agile philosophy. Again, if you want to talk about agile, most people today are talking about Scrum at the implementation level. This idea of velocity, meaning like the maximum amount of speed at which you can achieve at given task, is really the focus of Scrum. There’s also implementation differences. Again, you’ve mentioned the weekly Scrum meetings or possibly even daily in some cases. Jonathan: Yeah, and our web team uses the software product JIRA for this. It’s just a way to track those things together and get all of your tasks in the same group and work them through the line and follow how are they doing, are they getting completed on the time that we thought they would? There’s the thing called, “The burned down rate,” which is in this two to four weeks sprint we said we’re going to complete these number of projects. As that time goes on, have you completed the number of projects that you said you were going to complete and your burn down rate should eventually go down to the zero when you’ve completed all of your tasks by the end date. Peter: It’s cool to think about, how does this apply to all of our listeners. Maybe that’s something that our listeners can write in. If you’re listening right now and you don’t think Scrum could possibly apply to you, let’s think it through. Maybe we can chat about it. It might be interesting, exercise in our part to see if it could apply. Jonathan: Yeah and there’s an article called, “Is Scrum right for your business?” It’s by Sara Angeles of the Business News Daily. There’s a couple things to think about. Is it the right cultural fit for your business? It does require some discipline. It requires measuring what you’ve done and using that to help estimate what you need to do. It’s going to be a time investment to figure out how that whole process works. Peter: Both of these approaches, the Kanban and the Scrum approach have a certain set of rules, a certain structure to them. In a way, you have to learn this way of doing things in addition to the actual job that you’re really doing. Jonathan: The benefit of taking the time to learn that is that you’re going to be able to find efficiencies, you’re going to be able to break tasks down into smaller chunks and therefore be able to get more done sooner than you would expect. Peter: Yeah, so it’s interesting to think of these three processes as something you might apply to any given small business. Again, we’d love to hear your feedback on each one, but we really recommend that you check out the links and you read more about each one. If you choose to apply none of these three, that’s great, but we do believe it’s better to know what they are and choose not to apply them rather to not know that they are out there for you. One extreme example that I’ve heard about a lot recently, and this is ever since maybe May of this year. At Zappos, Tony the CEO, sent out a big memo talking about how the company was going to be run moving forward. His approach was called, “Halocracy.” It’s a progressive, very ultra contemporary, if you will, approach to business management. Really, this Halocracy is nearly culty I would say. I don’t mean that in an alter critical way, I just mean it starts to approach a bit of a culty vibe to it, let’s say. Jonathan: Yeah, let’s talk about that and we’ll get to why it ends up feeling like a cult. The basic idea of Halocracy is there are no managers. Everybody has value and the ability to work on what they think needs to be worked on and that leads to what. Peter: That’s an interesting starting point. At the end of the day, what happens is that each individual is tasked with some small portion of what their former manager would have applied to their day to day workday by a series of concentric circles, each worker is involved in these circles and the circles collide with each other. To be honest, I’ve read seven articles about this and I cannot re-describe what the process is supposed to be. Jonathan: I’m getting a lost as we speak. Yeah and for me, I read an article from the New Republic called, “First, let’s get rid of all the bosses.” That’s a really great in depth article. It’s pretty well balanced saying, there are some people who completely buy into it and say, “Yes, this is the way of the future,” and it brings up the people who weren’t really ready for that offer and how it’s impacting the way Zappos runs its business. Peter: I would actually recommend that people just simply read Tony’s e-mail. The whole thing has been published online. It’s quite a long e-mail. He recommends to the reader that it takes 30 minutes to get through. It also links to the actual book that everyone is supposed to read and variant kind is a bit of my concern with the whole thing. I would love to hear about this going really, really well, but I have my concerns about it. One is the level of learning that it takes for a simply tasked employee to perform this networked, managed, systemic approach of Halocracy. Jonathan: Yeah, for the person who doesn’t have a lot of experience and is working at a company like this, and previously in this hierarchy was low on the totem poll, how did then they make decisions and feel comfortable making those decisions with any real sense that, “I’m going to keep my job if I make a mistake, because I don’t have this direct relationship with the manager to talk through that, get feedback, what does that look like?” That’s a crazy concept, I think. Peter: It would seem very confusing I think on a day to day basis for your average 9 to 5 type employee, I agree. I’d also be a little concern, from a top down perspective, one of the values of a Scrum or a Kanban type system is that if you have a very highly skilled workers, there’s a couple worse things you’re going to do. One of the worse things you’re going to do is have them distracted by ten other things that they need to do in a given day. The other concern is typically management can consist of, what I call this, “Master craftsman.” The person who is best at computer program might also then go on to lead the team of computer programmers, which is fallacious in two different ways. Number one, you’re taking away from their time that they can spend programming computers. Number two, their skillset was not in personal management, which now you’ve promoted them to. I’m worried in the Zappos case that what he’s doing is redistributing a lot of his management work and management can be a very skilled profession. Jonathan: Right. Some of the criticism of this method so far might involve the idea of like, “This is just a way to get rid of managers because the problem with managers is you getting to this bureaucratic system and you get a high paid person who really isn’t contributing too much to the productivity of the company. What do we like about the idea of Halocracy? Is there anything? Peter: There’s something nice about it. There are certainly management inefficiencies. As your company grows increasingly large, and I think our audience may not relate to this, but they can probably see it out there in the world. If you’ve got 10,000 employees or 1,000 employees, 500 employees, there seems to be some waste in there and how do you address it. You on the smaller scale, you can start to say, “Hey, I can identify the managers who are wasting time and not being efficient, ” and simply either ask them to improve or let them go. Once the organization gets to a certain size, I’m sure that’s very difficult. Jonathan: One of the things brought up by the article that I referenced earlier that I think is a great example of where this doesn’t work is the idea of compensation. Who decides, who gets paid what. Now that you’ve gotten paid this amount and you’ve done extra great work and you’re ready to get paid more, because you think you deserve it, who do you talk to? Peter: The article answers that, which I think is great. At the end of the day, it has this very inter-circular structure and you’ve got some just about minimum wage workers asking the CEO of the company for a raise effectively. Another question I would have for this system is there are a lot of directional functional vision based direction that goes down to the individual employees, that go down to normally this management structure that are decided either at the very top of the company or somewhere in the middle. For example, if a marketing campaign is going to go live next month and it’s because of these six factors, who is the one who says the deadline is X, the budget is Y.
Jonathan: Both you and I have communicated the idea of like, “Look, we don’t work there. We are involved in how this plays out.” We can’t really judge if it’s right or not for Zappos. At the same time, let’s be real. If you were working there, what do you think would be your situation? How would you feel of it? Peter: I would be bugged out, man. Pretend you receive that e-mail, check out the book. To me honestly, it reads like science fiction. I’m like reading the Cryptonomicon over here and it’s a little crazy. Jonathan: Yeah, and I think I’d agree with you, but bringing this back to the overall theme of our episode today about solving problems with your business, I think it’s worth noting that there is a possibility of trying to solve problems at such a level, that then you actually end up creating more problems by instituting these company wide processes that then everyone has to spend time learning, which takes them away from doing the actual work to get a product out, to do a service. It’s really hard to deal with, isn’t it? Peter: Yeah, if I can make one recommendation, innovate where you can and don’t feel like you need to innovate absolutely every corner of your entire business, simply to be innovative. It’s okay to just be innovative in some spaces, and I think that’s really the advice I would give to our listeners is if you’re great at some things, feel free to stick to those things. You don’t need to be absolutely cutting edge innovative in absolutely every aspect of your business on a day to day basis. Jonathan: That sounds great. I think that’s a great word. Peter: Yeah, let’s learn from what other people have learned from. Peter: We got a guest here, Trevor Bentenson, CFO of Palo Alto Software. Welcome, Trevor. Trevor: Thanks for having me. Glad to be here. Peter: We wanted Trevor to talk a little bit about the concept of HR in the small business world. Is that right? Trevor: Yeah, that’s right. We’ve talked about solving problems in your business and a lot of your problems might come from managing employees. Who better then to talk about that then our own HR representative. Peter: When we think about small businesses, especially the smallest business, maybe one or zero employees, it seems like HR is the realm of larger companies, corporate type stuff. Why does small business do think of HR topics at all? Trevor: I think most small businesses, even if they’re not big enough to have a dedicated HR department, they still need to be aware of HR issues that could arise. Even our company, we are a smaller company, and similar to other companies I’ve worked for as the accountant, it seems very common and often that the accountants are involved in HR related issues because of a lot of people equate human resources to payroll, to paying people, to employees, and so they in turn get involved with the hiring and firing. They’re also very good at learning rules, at following guidelines at establishing procedures. I think it’s very natural that even in small businesses that don’t…Even with one employee need to start thinking about what you’re going to do with those policies and procedures. Peter: Really, even at the smallest possible size you’re already dealing with HR issues at some level? Trevor: Yes, I think as soon as you even have one person and it could be a small business in your garage and that one person might be your spouse or your brother, but as soon as you have even a single employee need to start thinking about how you’re going to deal with HR issues. Peter: How do you make that transition from my brother, my uncle, my cousin are all putting my products in boxes, that kind of thing, to the point where you’re making it official. Is that a transition that you expect a lot of these small businesses, maybe some of our listeners to be going through it at certain point in time? Trevor: I think definitely a lot of times what happens is people don’t think about it and then later when things happen, when there’s problems they’re trying to retro actively figure out and fix things, and that could be something as simple as delineating responsibilities. Maybe there’s a husband and wife team and maybe one is more adept to the certain part of the business, but eventually there comes a point where you have to sit down and talk about it and draw lines about who’s going to do what, when and where, who’s going to be responsible? Because at the end of the day, you have to have someone in charge. Peter: In charge of what? Sorry for being stupid, but what is HR? Where does it start? Where does it end? Trevor: There’s a lot that goes into it. I think the beginning obviously would be the hiring process. That could be, how are you going to pay the person? How are you going to track their hours? Do you offer insurance? Are you required to offer insurance? With the new Affordable Healthcare Act, how does that impact you as a small business? Where in Oregon, they just passed a sick leave act that’s going to affect even small businesses. Even as low as one employee, how are you going to track that thing? Payroll taxes, workers comp insurance, there’s a lot of things that are involved that you should think about and know the answers to before you even have your first employee. Peter: It’s not just covering, to make sure you don’t get in trouble. Is it more than that? Trevor: Yes, I think it’s more than that. Part of it is recruiting and retention. If you haven’t thought about some of these things and you’re trying to get a valued person to come work with you, why would they work with you if it’s unclear how are they going to get paid, how much they’re going to get paid, how often they’re going to get paid. If you do offer insurance, how does that going to affect them if they have a family, if they have other things that they’re dealing with? There’s a lot of things that are more than just covering the legal requirements of having employees. Peter: It could come all the way down to employee retention, which can reduce costs for the business overall and keep the business more effective and efficient over time as well, you’re saying? Trevor: Yes, exactly. I think also, in addition, as you start to have employees, even if it is a husband and wife, the dynamic of the relationship changes. It could be your best friend that you’ve had since elementary school. As soon as you start a business together, there is going to be some type of issues that will come up especially if it’s with a close person that you knew outside of this business. Jonathan: Okay, so Trevor let’s assume that one of our listeners or multiple listeners of ours haven’t yet hired their first employee but they know it’s coming. What are some things that over the years of your experience you wish you had known before you started or you think are maybe common pitfalls or things that people won’t expect to have to do with human resources? I think if you can do a little bit of that research beforehand, it’s not too late if you haven’t done it yet. You can do a quick Google search, internet search and find information. You can call your local tax jurisdiction, you could call a local CPA. I think there’s a lot of resources out there that you can use. Jonathan: All right, so tax information, do some research there, talk to a CPA, and get the ball rolling on that. Any other things that people should look out for? Trevor: I think the biggest thing and I talked about a little bit previously that is to make sure you have a clearly defined role for which they’re being hired for. If you are making something in your garage and they are helping pack and ship it, make sure that they know exactly what it is. I think a lot of times with new employees, there’s frustrations between the owner and manager and that new employee because they don’t tell them what’s expected of them. They don’t train them properly, and then they get upset when they don’t do it, how they would do it. If you’re not clear and concise, it can definitely lead to frustration and confusion. Jonathan: That’s great. Thank you, Trevor. I don’t want to name any names, but Peter’s been really not that nice of a guy to me lately. I wanted to ask you human resources wise, can you fire him? Is that okay for you to do? Jonathan: Yeah, just life maybe? Let’s move pass that, conflict resolution. What if you have two employees who have a problem with each other. How do you handle that? Trevor: I think the biggest thing that you need to do is talk with them. A lot of times there’s conflict and there’s frustration because people have maybe unmet expectations. They haven’t communicated well. I’m a parent of three daughters and I think part of being a parent is very similar to being a business owner. Just the other day, my older daughter said some very unkind things to my younger daughter. I had the conversation with three that, “Sometimes there’s things that you say that you can’t take back.” I think that could happen in employees, supervisor, manager role as well. Sometimes as a manager, you might want to say something that you later regret. I think making sure you think before you speak, there’s a quote from Steven Covey that says, “Seek to understand before being understood.” I think that’s important to make sure, when there is a problem that you’re taking the time to reflect and to think about it, to be calm. Peter: That’s great. I think we can all agree that Jonathan is hearing and interpreting things unreasonably and is holding a grudge. Thanks for resolving this conflict, Trevor. Great HR work here on the podcast. Trevor, any agile tips for HR? How do you keep it lean? 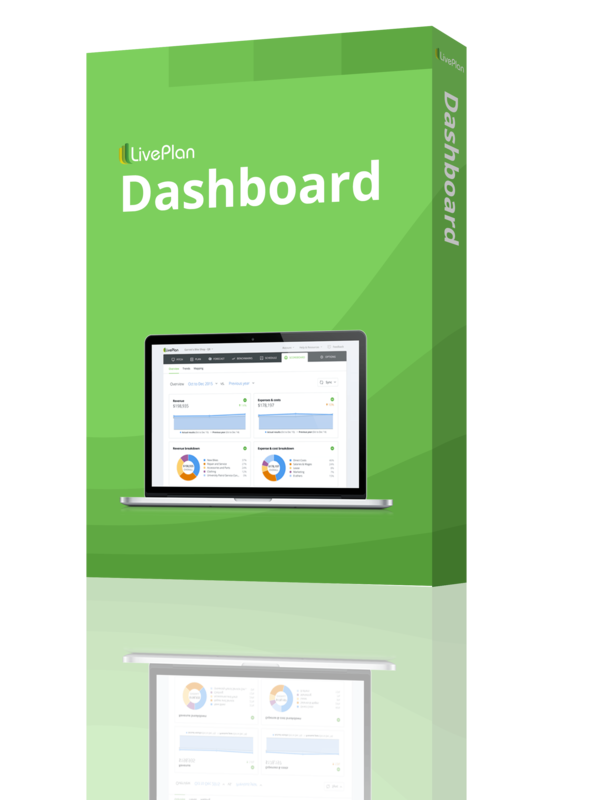 How do you make sure that it’s all streamlined and efficient enough for a small business to really execute? Trevor: One of the things that we started using earlier this year is a company called, “Zenefits.” The cool thing about this company is it’s free. If you are big enough to need health insurance, they can be your insurance broker, but if not, it’s still a free service to anybody that wants to use it. It can make your small business look and appear much more sophisticated than it is today. If you go on and you setup your hiring documents, you set the person’s e-mail up, it sends them an offer letter, they can accept it and sign it electronically online, enter their tax information, their bank information if they’re getting paid direct deposit. Everything is stored online. Jonathan: It’s such a good recommendation. Peter: Trevor, in our segment, when we’re talking about business Zappos Halocracy thing, we’ll get a little more detailed about it, but one of the crazy things that happened during this time is the CEO of Zappos sent a memo to all employees, offering them the option to get on board with this new management technique or not. I think 14 percent took the option to leave the company. What’s your thinking on an action like that? Trevor: It’s hard to know without being inside their company to know what they were thinking, but from the outside it almost seems like they had some people that they wanted to leave the company, and so they made this policy to force the hand instead of saying, “We’re downsizing.” They had to have known that people were going to leave the company after making the stress took of a change. Because if not, it’s extremely expensive and takes a lot of time to retrain people. Jonathan: Awesome. I think those are wise words and appreciate the time you’ve had with us Trevor. Any final thoughts on human resources, where to go to learn more, or anything like that? Trevor: I think there’s so many rules and regulations that sometimes people get paralyzed with fear and don’t do anything. The biggest thing is just to do your best to communicate openly with your employees, because a lot of times you will figure out things as you go. Peter: All right, thanks Trevor, CFO of Palo Alto Software here and also our HR Lee, our HR manager, our HR guy. Jonathan: If you have a question you’d like us to answer on the show, send us an e-mail at bcast@bplans.com. That’s Bcast@bplans.com. Our theme music is by [Juzinski 00:32:30]. The Bcast is brought to you by Palo Alto Software, makers of Bplans.com and MyPlan. Visit Bplans.com for everything you need to start planning and growing your business.